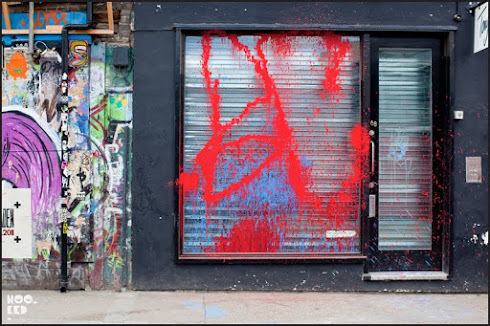 Looks like London graffiti crew Burning Candy were out on the street at some point last night, hitting up Tony's gallery just off Brick Lane with this fire extinguisher BC tag. We are not sure if the piece was legal or not as the crew have got a show at the gallery space early next month but either way looks like they had fun. More info on the show when we have it.